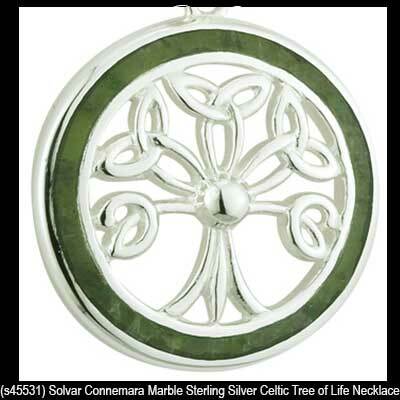 Connemara marble necklaces feature popular Irish symbols including the Claddagh and shamrocks along with the Tree of Life and Celtic designs. 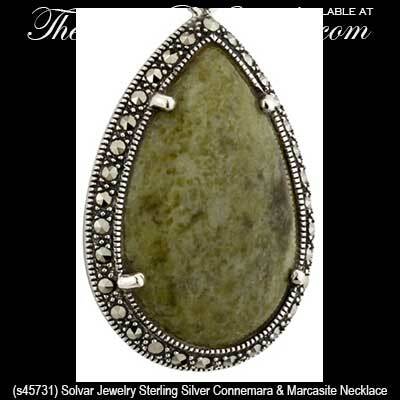 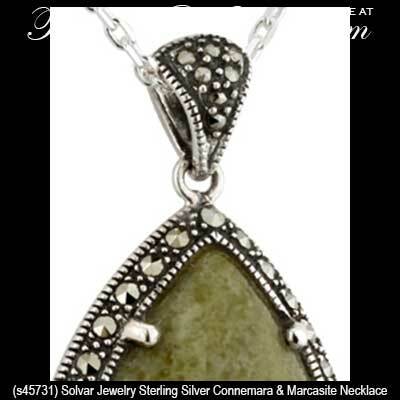 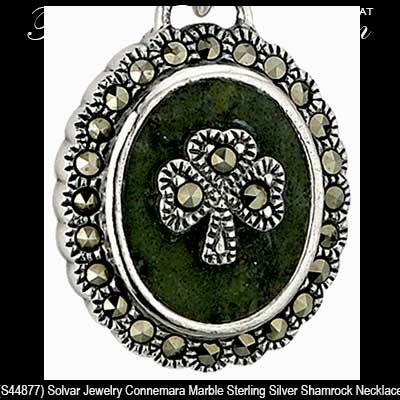 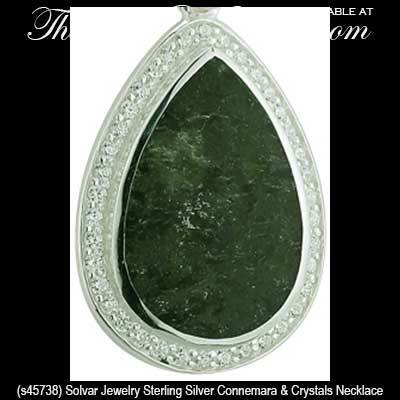 As evidenced in this selection of Connemara marble necklaces, marcasite stone continues to be a popular accent in many of these designs. 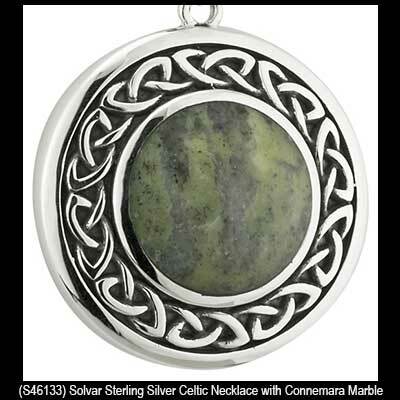 Additionally several of the beaded Connemara marble necklaces offered at The Irish Gift House feature garnet or amethyst stones. 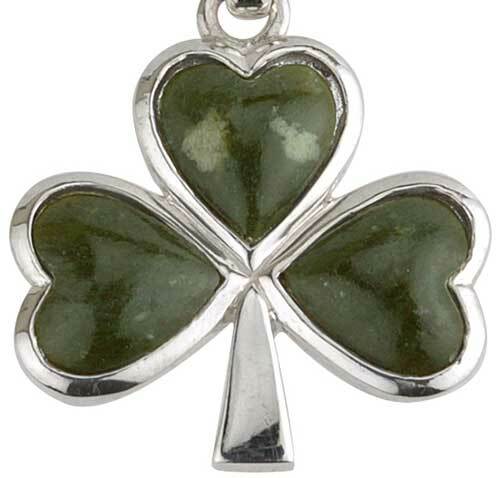 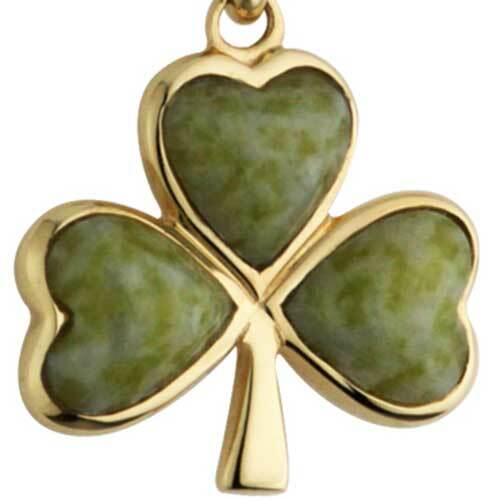 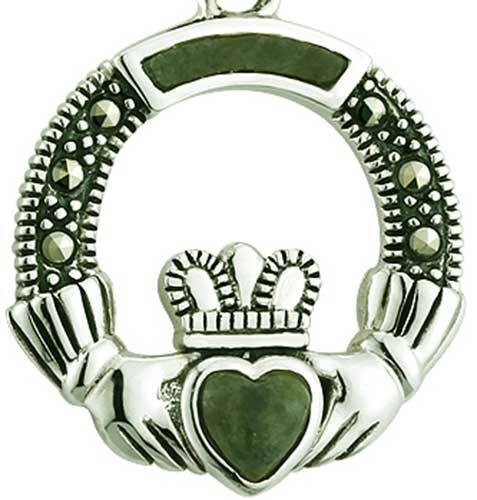 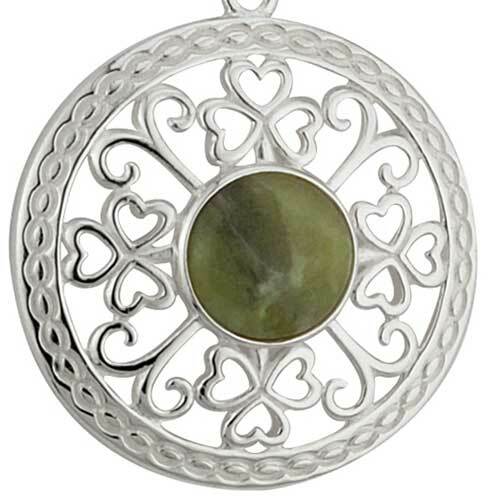 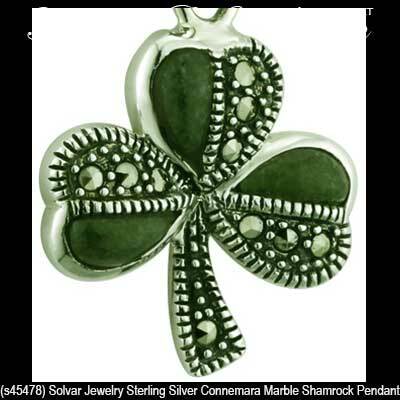 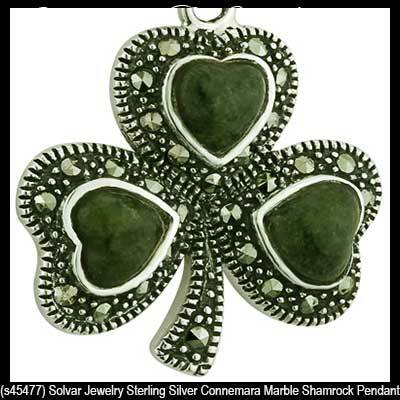 Some of these Connemara marble pendants are common designs, such as a heart shape, that do not offer any iconic Irish or Celtic design; however they are Irish jewelry all the same as these pendants feature Ireland's gem stone and they are all made in Ireland. 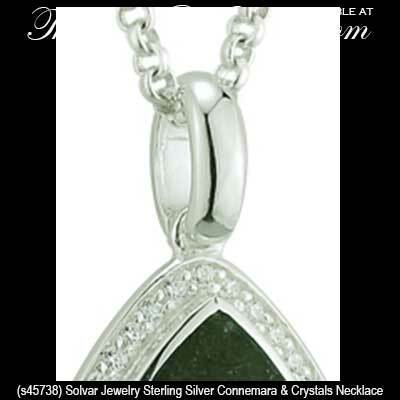 Sterling silver Connemara marble necklace is in the form of a dragonfly. 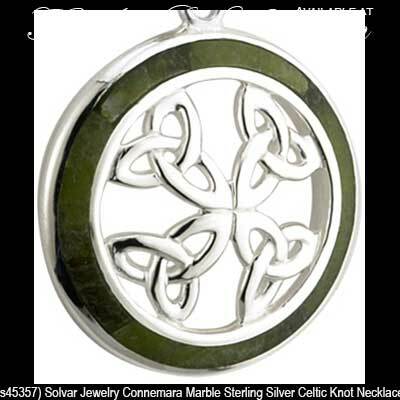 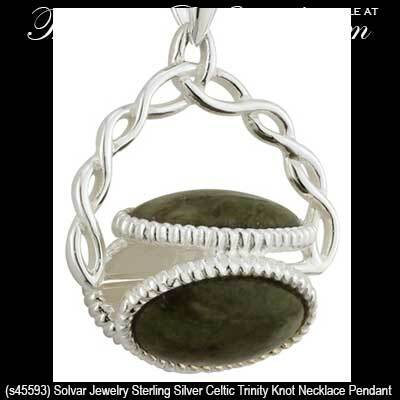 Connemara marble necklace is enhanced with garnet stones along with silver plated over pewter beads that feature Celtic knot-work.